Hulu has dropped the “Plus” as part of a service revamp to regain market share and reduce churn. Online video providers may be gaining subscribers from established pay TV operators but they are not having it all their own way with high churn rates among themselves. This applies to leaders such as Netflix and Amazon as well as smaller OTT players, according to the latest OTT Video Market Tracker from Parks Associates. Over the last 12 months, nearly 9% of Netflix subscribers in the US cancelled their subscription, which is 4% of the country’s whole broadband base or about 3.5 million. This churn rate is not yet causing much loss of sleep among Netflix executives because it is still considerably exceeded by the rate of subscriber acquisition, leading to a net gain in the US over the year of 6.1 million from 36.2 million in Q2 2014 to 42.3 million at the latest count. The global total is growing even faster for Netflix as it expands into markets less saturated than the US, up by 4.9 million in the first three months of 2015 alone to reach 62.3 million. However churn has been much more serious for Hulu’s premium service formerly called Hulu Plus, having led directly to losing its number two position in US video streaming to Amazon Instant. According to Parks Associates, nearly half of the entire Hulu Plus base cancelled their subscription over the last year, so that although this was counteracted by new customer acquisitions it exerted a substantial drag on overall numbers. "The high churn rate for many of these services suggests that consumers are holding onto their Netflix account while experimenting with the wide variety of other video subscription options," said Brett Sappington, director of research at Parks. 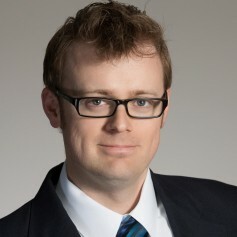 Meanwhile Parks’ analyst Glenn Hower suggested that the high churn was good for consumers, indicating that they were able to exercise choice more effectively given the low subscription costs of OTT services and greater ease of switching between them. "These video services are relatively low cost, so consumers can easily experiment with different services to find the ones that best suit their interests," he said. High OTT churn rates show consumers are prepared to shop around to get the content they want according to Parks Associate’s’ Glenn Hower. Hulu at least was well aware of the issue before the latest Parks’ survey. It responded in May 2015 by removing the “Plus” from its premium service title so that it is now just plain Hulu. This was the first change to address the churn issue and poor customer satisfaction ratings, which seem to be more related to the level of advertising than the quality of content. Yet the Park’s survey indicates that churn is a continuing issue for all OTT operators, even as they expand their overall base. Currently, 85% of US broadband households subscribe to a pay TV service, while 59% access an OTT service. Of those who have OTT, just under 50% subscribe to two or more services and this is still rising. Indeed the bigger picture is of continuing attrition from traditional pay TV services in most major markets. In the US, traditional TV watching is declining faster than ever according to audience measurement firm Nielsen, with adults there watching an average of four hours and 51 minutes of live TV each day in the fourth quarter of 2014, down 13 minutes from the same quarter of 2013. The trend is similar in the UK, where average daily viewing on the TV set fell by 11 minutes in 2014 compared to 2013 according to the latest Communications Market Report from regulator Ofcom. This is the second consecutive year of decline, but at an increasing rate, following a nine-minute drop in 2013 compared to 2012. According to Ofcom, the entire year-on-year drop in viewing can be attributed to a decline in traditional linear TV watching at the time of broadcast. Time-shifted viewing increased in the UK by just one minute but that was nowhere near enough to compensate for the 12-minute decline in traditional TV viewing. The decline was evident across all age groups, but was most pronounced among under 45s, with the greatest proportional drop among children aged 4-15 (by 12.4 per cent), followed by the 25-34 group (down 8.8 per cent) and 35-44s (8.0 per cent). Linear viewing among the over-65s fell the least, by 0.3 per cent.